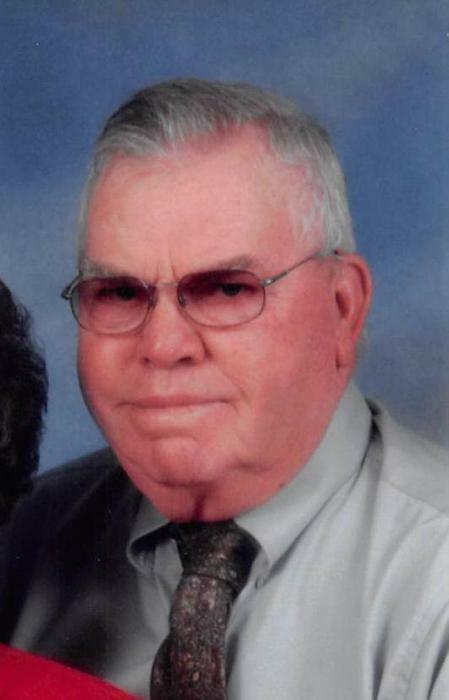 George Washington Carter, 88, of 1678 Ozzie Road, passed away Tuesday, February 5, 2019 at his home. Funeral service will be held at 2 PM, Thursday, February 7, 2019 at Serenity Baptist Church with Rev. Jimmy Flowers and Rev. Raeford Carter officiating. Entombment will follow in Grandview Memorial Gardens. The family will receive friends from 6 PM – 8 PM, Wednesday February 6, 2019 at Crumpler-Honeycutt Funeral Home and at other times at the home. G. W., born in 1930 in Sampson County, was the son of the late Ozzie Lee Carter and Nellie Fryar Carter. He was a blueberry grower, a row crop farmer and attended Serenity Baptist Church. In addition to his parents he was preceded in death by thirteen brothers and sisters. Survivors include; wife of sixty-six years, Lula Jane Carter; children, George Ray Carter (Charlene), Brenda C. Stancil (Gerald), O. L. Carter (Audrey), Michael A. Carter (Sissy); and eight grandchildren and eleven great-grandchildren. In lieu of flowers memorials may be made to Serenity Baptist Church, 8994 Garland Hwy, Clinton, NC 28328 or St. Jude’s Children Hospital, 262 Danny Thomas Place, Memphis, TN 38105.